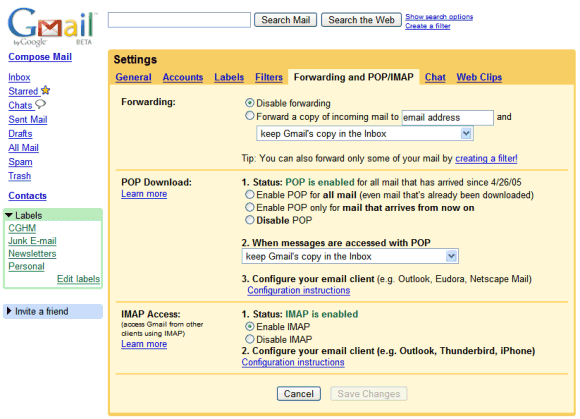 Article: A List of SMTP and IMAP Servers. I use my laptop at work however (MacBook connected via WiFi through my AirPort Express), and prefer to use Sparrow to check my email. 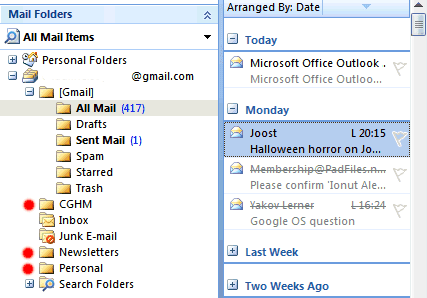 The problem is that our firewall blocks whatever port Gmail's IMAP server uses.